Access Monash Mentoring has grown in scale year-on-year since its inception. 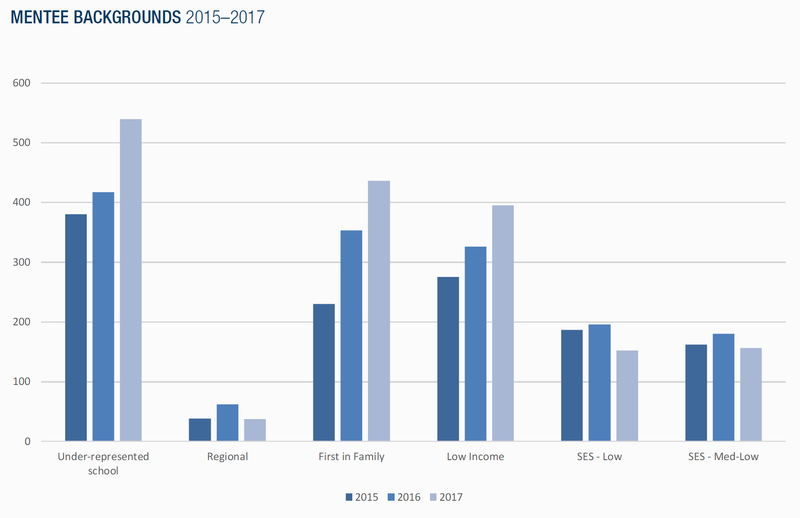 In 2017 we have 618 mentees from 43 schools participating in the program – a 630% increase since 2012. In this time, the program has helped over 2000 students from low SES backgrounds make informed and inspired decisions about their future. 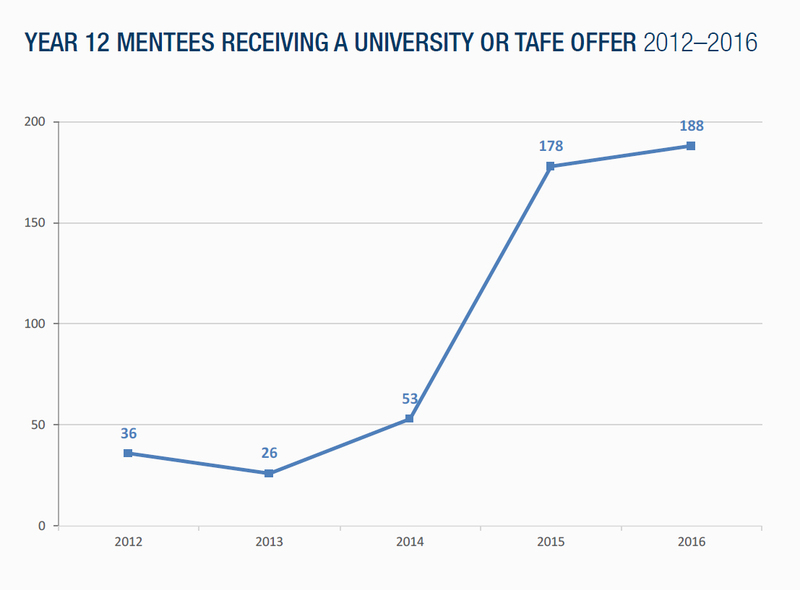 More than 93% of mentees contacted since 2012 have received a tertiary offer, in courses across all fields of study. This compares with a 45% transition to university rate for the equivalent cohort Victoria-wide. 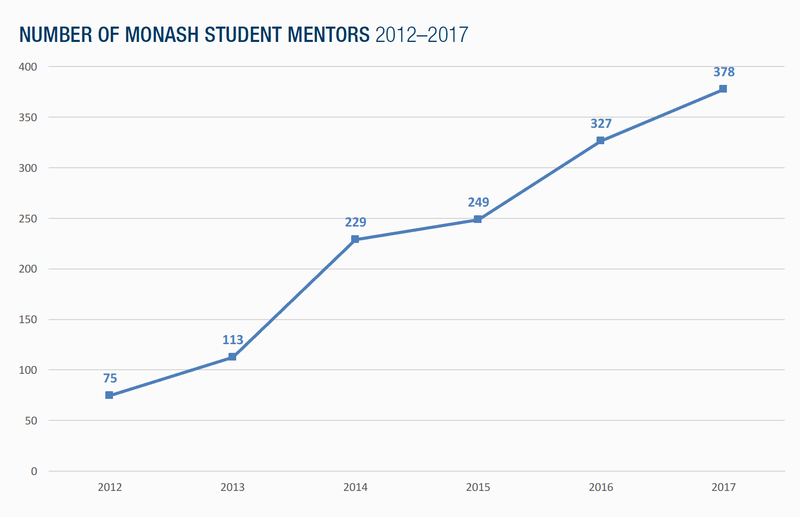 Demand for mentor positions is high: 1285 Monash students applied to be mentors in 2017, including 158 returning from 2016. The 2017 cohort of 378 mentors are supported by 26 Mentor Leaders.